SHR (Super Hair Removal) is a technology that combines Laser hair removal and IPL (Intense Pulsed Light). SHR combined with Ín Motion’ represents a breakthrough in permanent hair reduction with light technology. The treatment is more pleasant than with the conventional systems and your skin is better protected. The treatment is virtually pain-free. This IPL targets the pigment located in the hair follicle and shaft. The light is absorbed by the pigment in the hair follicle and this energy is converted to heat which results in damage to the hair follicle. This damage causes delayed re-growth of hair and in most cases, permanent destruction of the hair follicles. Unlike electrolysis, which disables one hair follicle at a time, the laser reaches and treats hundreds of follicles at a time. IPL/SHR technology provides treatment with minimal discomfort and is virtually pain-free. My hair is blonde or red, will the treatment work on me? Yes! This latest technology is able to treat even blonde and red hair which typically hasn’t been suitable with other laser/IPL equipment. We recommend 6-12 treatments. In fact it’s not uncommon for a person to need six, seven or more. There are a variety of factors that can influence the number of treatments any individual may require to achieve the desired results. What will I look like/How red will I be after a treatment? Post treatment reactions vary depending on the coarseness, density and colour of the hair and area being treated. In general, most clients don’t experience a reaction. IPL treatment is one of the most effective procedures for clients with non-aesthetic vascular lesions in addition to signs of skin photo ageing, and it has been reported as very successful in the treatment of telangiectasias, spider veins, erythosis, and above all, rosacea. .
IPL treatment is an effective new light-based therapeutic therapy and is now revolutionising the treatment of acne. The IPL acne therapy destroys the most common bacteria that cause acne –without drugs, without pain and without downtime. IPL is one of the safest treatments available. Proven to be extremely effective on moderate inflammatory acne. IPL technology has been used in aesthetic treatments to reduce or remove pigment, sun spots and freckles on skin, mostly the face. It’s been emerging as a popular treatment in many countries. With high energy pulses it breaks the pigment which then flakes off or dissolves into the blood stream to fade its appearance on the surface. Treatment is safe for face, hands and décolletage. 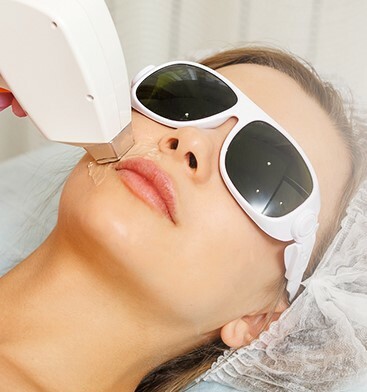 One of the most effective ways to improve skin texture, fade pigmentation and minimise background redness is with IPL skin rejuvenation, sometimes called photo rejuvenation. IPL skin rejuvenation is a safe, gradual process and this allows clients to return to work and their regular activities without risk of downtime.